You probably know that my oldest loves math, and well . . . I do not. This is the subject where I will really be devouring the posts in the Virtual Curriculum Fair. This week's focus is Discovering Patterns: Mathematics, Logic, and Science---includes anything to do with mathematics, mathematical thinking, numbers, arithmetic, symbolic logic, critical thinking, and math-y sciences (physics, chemistry, etc.). This post contains affiliate links, thank you. If you've hopped over from another blog and are unfamiliar with my kiddos, Elliott is 7 and in 1st grade, and Emory is 4 and in Pre-K, and we are very relaxed with a Charlotte Mason influence. Elliott - This child could do math in his sleep. He loves all things math. He enjoys mental math, as well as physically manipulating items to see patterns and relationships. We reviewed Math U See for the Schoolhouse Review Crew, and we loved it. He loves the DVD lesson and the hands-on approach, and I know he "gets" the way the program teaches, so I see no need to switch things up right now. Emory - He is not required to do any formal work. He usually plays with blocks or draws during Elliott's lesson. Sometimes he will ask for "school work" and I have a couple of dollar store Preschool workbooks available for him. Family Math - These books are full of ideas for bringing math into the home. They are literally designed for families to enjoy math together, and since they are not geared for classroom/large-group use, they are perfect for homeschoolers. I have Family Math for Young Children: Comparing which I have used on and off over the last couple of years with both boys, and Family Math, which I'll start using more now that Elliott is a bit older. IXL.com - We reviewed IXL.com at the beginning of the school year. I'm usually not for drill work, and that is basically what the website is, but we use it for review sometimes, to go along with MUS instead of doing the practice worksheets. Elliott also likes to use it to practice things we are not covering in his curriculum at the moment, such as when he was fascinated with money, he would do various levels of lessons on coins. There is a Pre-K level, so Emory will occasionally ask to play when Elliott is using it. Activity Bags - We reviewed the Preschool Activity Bags when the boys were 3 & 5 and I really liked the concept. I later came across a short-term offer of the Math Games in a Bag for free, and grabbed it right up! I plan to set these up as sort of a 'grab-and-go' area. Games - The kids really like board games, and they are a great way to practice math skills informally. Some recent favorites are Yahtzee, Monopoly Jr, Math Dice Jr and Chess. Chess House was one of our personal top 5 reviews for last year, and is a great way to sneak in some logic and critical thinking. I'm about to introduce Battleship next! Also, there is Acing Math (One Deck at a Time), which is a free e-book full of math games to play with a deck of cards. Living Math Books - There are so many books that are written in story form, but have mathematics and logic woven throughout. They help show the practical needs for using math in real life situations, or how math occurs naturally in the world around us. The Living Math website has a great list of readers for various math topics. Next week is Exploring Our World: Social Studies and more Science---includes history, geography, world cultures, worldview, biology, botany, geology, etc. 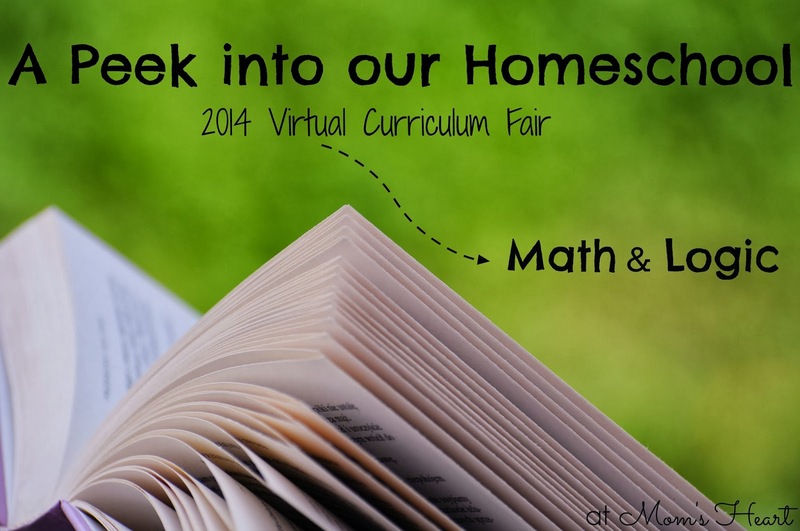 but until then, be sure to check out the rest of the bloggers participating in the fair for their Mathematics ideas! hmm, never heard of the Family Math! Off to check it out! And, YES, games are great for math learning! Just taught my 1st grader his tens facts using a card game!